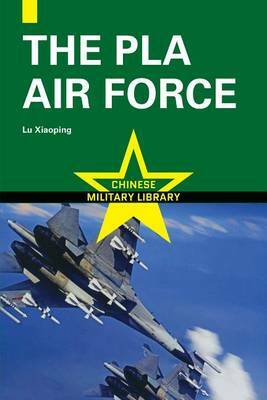 The Chinese Military Library volume The PLA Air Force tells the complete history of China's air force. In addition, the book provides detailed information on the PLAAF's composition, equipment, and peacetime missions. A separate section relates the history of the PLAAF's women pilots. The PLAAF was founded in 1949, shortly after the declaration of the People's Republic of China. But air combat in China has a much longer history, reaching back to the pre-revolutionary era. The Communist Party of China (CPC) first started training pilots with Nationalist Kuomintang (KMT) forces, and with the Soviets, in the 1920s. During World War II, with the Nationalists and the CPC cooperating to fight the Japanese, Communist troops again trained with and flew alongside KMT fliers. When the time came to found the PLAAF in 1949, the Communists had a reservoir of knowledge to draw on. The PLA Air Force recounts the story of China's air force from its founding: the early difficulties of training new pilots, the stunning successes against the US Air Force while flying substandard and captured equipment, and the training of the first women pilots in Chinese history. The story continues with the eventual, steady modernization of China's Air Force, culminating with the introduction of the J-10, the first world class fighter aircraft produced in China. The authors add sections devoted to PLAAF equipment, technology, peacetime missions, and more. The authors of The PLA Air Force, themselves military experts, enjoyed the cooperation of PLAAF pilots and personnel in producing this book. Including 116 black and white photographs, The PLA Air Force provides a complete, authoritative inside story of the PLAAF's history, equipment and operations. Publisher: CN Time Books Inc.